The popularity of online video has skyrocketed in recent years, and it’s quickly become the visual content medium of choice for many businesses and brands across every industry. The reason is clear: video works (and the numbers prove it.) More conversions, more engagement, better ROI, and of course the simple fact that people just like watching videos. So why not give them what they want? If you’re ready to jump on board with video, you’ve got a few options. You could hire a professional or an agency. This will likely yield the most high-quality results, but it’s also the most expensive option, and may take much longer. You could hire a student or amateur, less expensive, but the quality could be lacking. 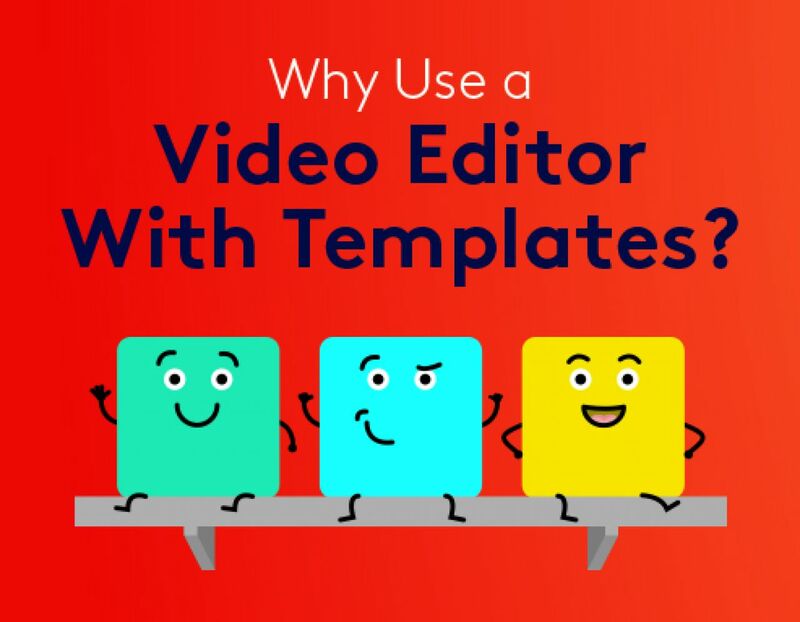 Or you could DIY using a free or low cost video editor with templates like Biteable. Let’s take a look at some of the pros and cons to this last option. One of the biggest benefits of using a video editor is how quickly you’ll have your finished product ready to go. That’s why we tried to make Biteable so fast and easy you can create a video in the time it takes to drink a coffee. We haven’t timed exactly how long it takes the average person to knock back a cappuccino, but we can say that thanks to our wide range of ready-made templates, footage, and music, it’s definitely possible to create a video amazingly quickly. You don’t need to know Final Cut or study film theory to create an effective video for your business. Popular video editors like Biteable are super intuitive, with no training needed, and no learning curve preventing you from getting up and running immediately. Videos are just fun — especially animated ones — and making them is, too! 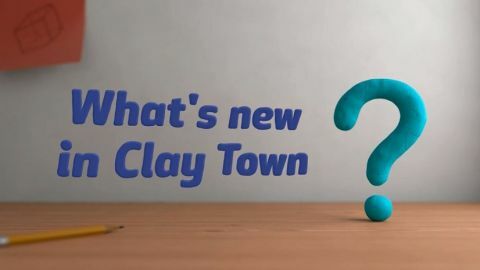 Don’t you just want to hang out in Clay Town for a while? Choosing the scenes and footage that best tell your story, customizing your text and color palette, adding your favorite tune, there’s something fun and satisfying about getting hands-on with video, and then putting the result out there for the world to see. Want to hire a professional team to make a video for the web? You’ll be looking at anywhere from $5,000-$20,000 for a 1-2 minute video! We’re not saying there isn’t a time and place to go pro, but if your budget is limited, a video editor is by far your most affordable option. There’s no need to invest in or maintain a studio full of expensive gear, and you don’t need a team to write, shoot (or animate), and edit your video — you can do it all yourself online. There are video editors out there that allow you to upload your footage, edit it, add transitions and music, and produce a finished video. But that still requires you to have recording gear and the skill to shoot decent footage. If you’re not up for that, then a video editor with templates is the way to go. Biteable’s free video templates have done the work for you, with beautifully designed scenes that are already selected and coordinated for you, so you can be sure the end result will be professional and cohesive. Of course, you can still rearrange or swap out scenes, add your branding and copy, change the colors and music, and otherwise customize them to create a video all your own. You’ll find something for everyone in our templates selection, and we’re always adding new ones! If you prefer live action, there’s no need to buy stock footage, or hire equipment and actors to film your own scenes. Biteable’s got you covered. A free account comes with access to a wide range of high definition stock footage in a variety of different styles and themes, and a Premium account gets you access to 85,000 more high-quality stock clips! While there’s lots you can do with a video editor like Biteable, there are a few potential drawbacks to be aware of. It’s true, you won’t have quite as much control over every detail as you would if you were hiring a team. It’s a bit like baking a cake from scratch versus baking it from a box — you’ve got plenty of delicious options to choose from in the store, and you can even mix and match your fillings and frostings. But if you’ve got your heart set on a rhubarb and vanilla bean sponge cake with rose petal buttercream, you’re going to have to find (or create) a recipe or hire a baker. If you’re hoping to develop industry-standard video editing skills and software experience as you go, it won’t happen here. Biteable wasn’t designed that way. That said, we do want to help you learn from and improve your videos, and drive better results for your business, which is why we’re always sharing tips and how-to resources on all kinds of topics related to video making and marketing. If you follow along, you’ll learn basic fun stuff like how to choose a color palette for your video, how to record a voiceover, how to choose the right video format, how to improve your video SEO, and more. Even though we make it as easy as possible, there’s still work to be done. You’ll still need to come up with the concept for your video, write your script, record a voiceover (if you need one), and come up with a plan for marketing your video once it’s done. If you’re not up for that, and you don’t have someone on your team who can do it, you might need to recruit some outside help. 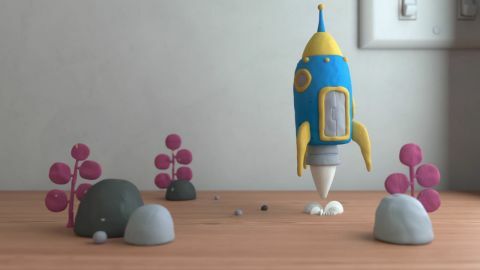 OK, even though it’s super fast to create a video with Biteable, it does still take some time. If you’re swamped with more important duties, there may be areas where your time could be better spent. Of course, even if you’re not up for creating videos yourself, there may be someone on your team who can. But if your entire team is buried in work and you find yourself with far more money than time (lucky you! ), then outsourcing your video might be the way to go. DIY video editors are best suited for short 1-5 minute videos, and really, that’s all you should be creating for social media and most online purposes. If you need a longer video, you’re probably not going to want to create the whole thing using a video editor and templates. In that case, we’d recommend checking out our video intro and video outro templates, which are perfect for kicking off and closing out a longer video, presentation, or YouTube playlist. For many purposes, DIY is just fine — if you’re just starting out with an explainer video for your startup, for example, or if you’re creating some fun engagement videos or simple ads for social media. But let’s be real, if you’re trying to create a Super Bowl commercial, you’re probably going to need an entire team of experienced video pros. (OK, that’s probably not your situation, but you get our point.) If you need something really top-tier, a DIY video editor may not be the best choice. For most other purposes, a video editor like Biteable is a great choice. We’ve got hundreds of templates to choose from, or you can start from scratch and create something entirely yours using our animated scenes and stock footage. Add your text and/or voiceover, customize your colors to match your branding, add your logo, and pick some music or upload your own. The options are endless, it takes just minutes, and did we mention it’s free (with limited features, super cheap for the full version)? Get started here or click the sign up widget below.